As if my brother’s computer has some lucky charms on it, I’ll always find new things when I use it. hihi. 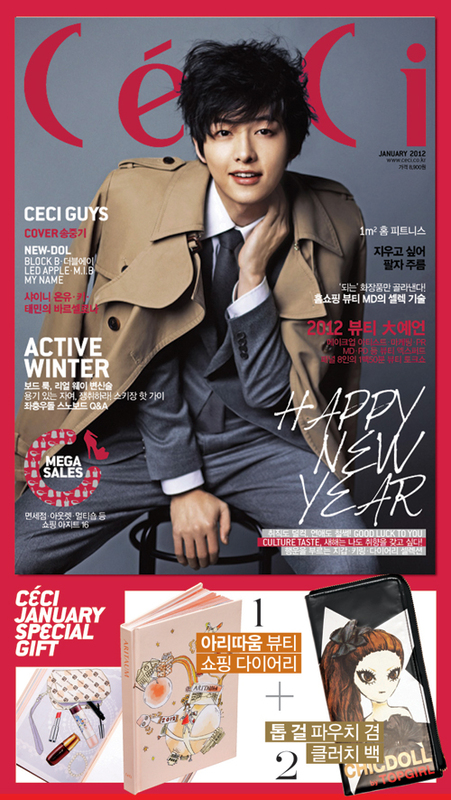 Another pictorial for our dearest Song Joong Ki, featured in the January 2012 issue of CeCi. He’s almost 27, but no one can beat his baby face. It’s hard to believe in two or three years, he’ll be off to his military service. If you think he’s going to do another flowery boy, full of candy floss type of photo shoot, this time you’re wrong. 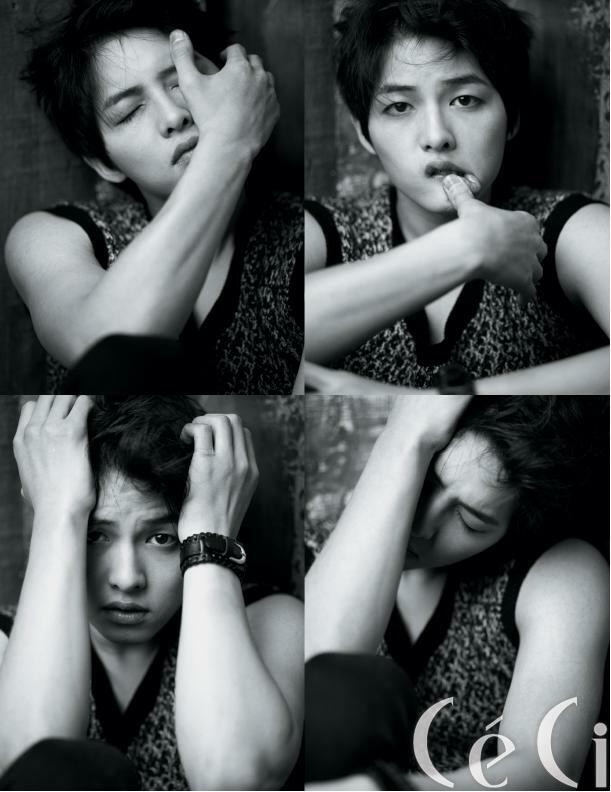 He’s somehow gloomy and dark, showing another side of Song Joong Ki, different from what he’s often seen like. Gloomy or not, he’s the number one celebrity Koreans would like to spend Christmas with, and he’s the latest star to narrate Tears of the Antarctic, a part of Tears of the Earth documentary series. 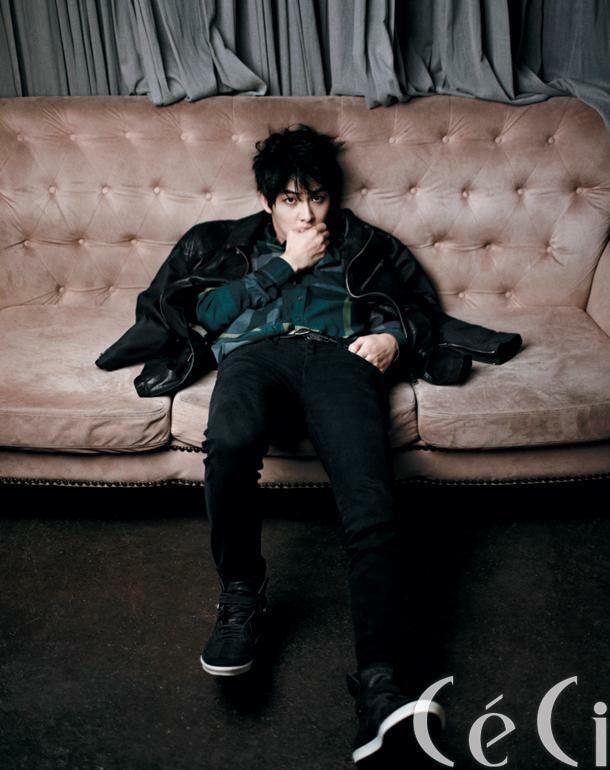 Looks like his popularity isn’t going down anytime soon, with his released movie Penny Pinching Romance and he’s already started filming Wolf Boy. May 2012 be another shining year for him! why is he sooo adorable?! it’s not human for a person to be that cute!! !